Excellent and friendly service highly recommended with great quality products, will definitely buy again. Sam /Great service from Paul. Been dealing with him for two years, good quality wood and in handy size nets! 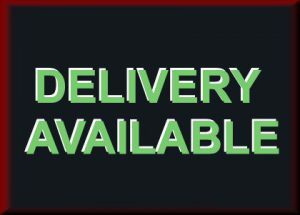 Very prompt on delivery.would highly recommend . Thank you Timperley Logs for all your help. As a stove newbie Paul gave great advice on which logs would be best to start with and how much I would need. The delivery was that day which was wonderful and have just spent first night of cosiness thanks to excellent logs and kindling! Delighted to recommend! Superb logs at a good price; straightforward and honest advice; friendly service; and prompt and efficient delivery. Don't just take my word for it, try Timperley Logs for yourself - you won't be disappointed. Bought from Paul at Timperley logs for some time now and the product service and help and advise has been excellent will not go elsewhere. Great service from a local company, will use again in the future and recommend to all. Good value and prompt delivery, Billy was very polite and hardworking. Made the mistake of paying by Paypal and cutting into Paul's margin (by 2.5%) - will use cash or a bank transfer next time. Good quality logs and great service. Bought logs twice in the past two weeks, would highly recommend. Great service from start to finish. Prompt delivery & placed it neatly in the shed. Great product & would highly recommend. Thanks guys! 🙂 5* all the way! Excellent logs, excellent price, superb service. I’ve had problems with wet wood from both local and national suppliers, but not from Paul. The logs are dry and amongst the best quality we’ve had. The added bonus of Paul delivering them right to our log store without the fuss of a crate or a bulk bag being dropped on our drive (only to get wet) makes Timperley Logs the only choice for us. Superb service once again. Extremely friendly and helpful. The logs are of excellent quality. I thoroughly recommend Timperley Logs! Ordered 1 tonne of Excel coal mid morning and delivery arrived mid morning next day. Best price around and only £20 delivery. Whats more amazing is we live 150 miles away. Thats what l call service. Ordered smokeless fuel for the 2nd year as Paul is so helpful. Good value and prompt delivery. Guy delivering was very helpful . Have recommended to friends and family .